Once again the Americans have come up with a great way to turn a comfort food into a breakfast with the simple trick of putting the work ‘breakfast’ in the title. 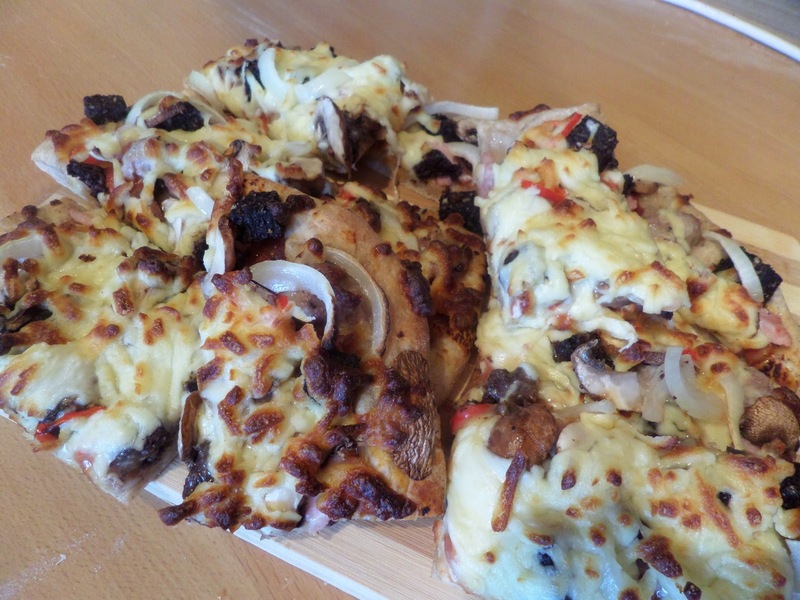 So ‘breakfast pizza’ it is! 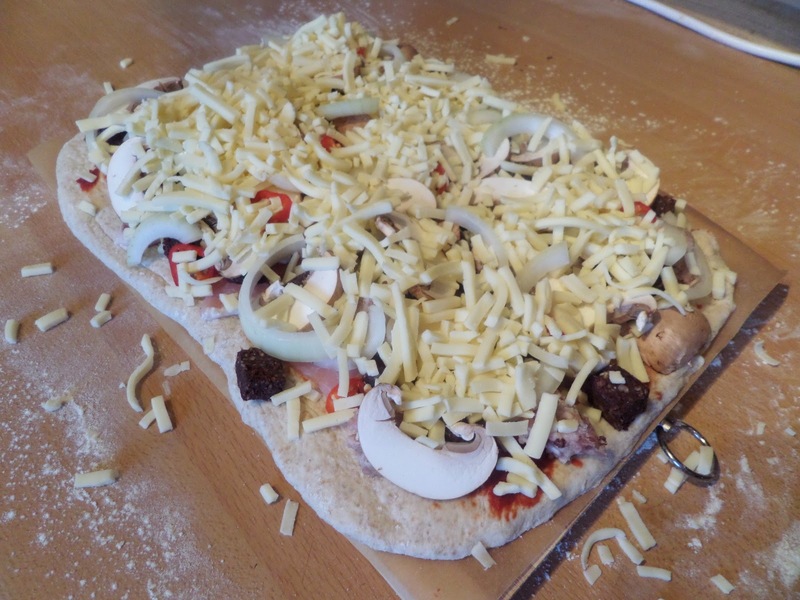 I’m using my Sodo starter to make a pizza dough, then roughly following Jamie Oliver’s recipe for a breakfast pizza, which seems to be just plonking a Full English on top of the pizza base! 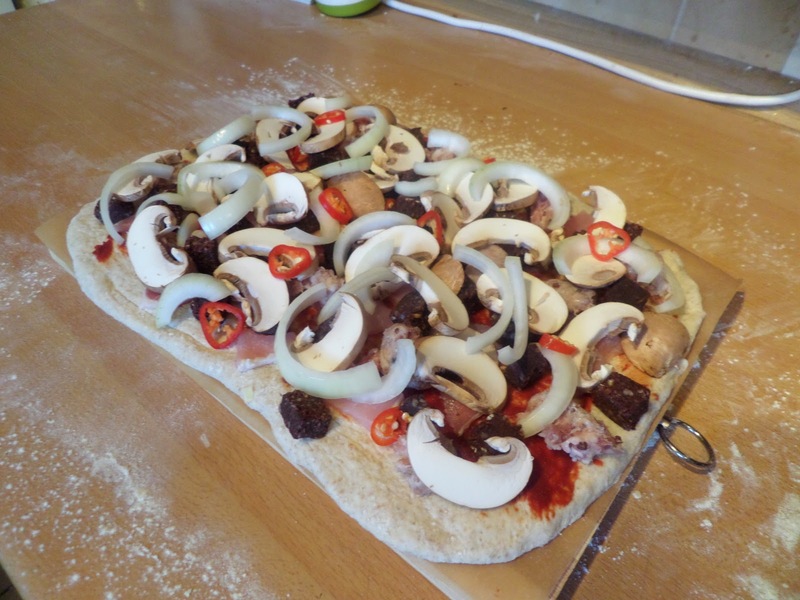 We’re going for : bacon, sausage, mushrooms, black pudding, onions & chillies. Topped with mozzarella of course. The bread stone had been heating for an hour at full oven temperature, but I turned it down to 200C fan before putting the pizza in for 15 minutes. 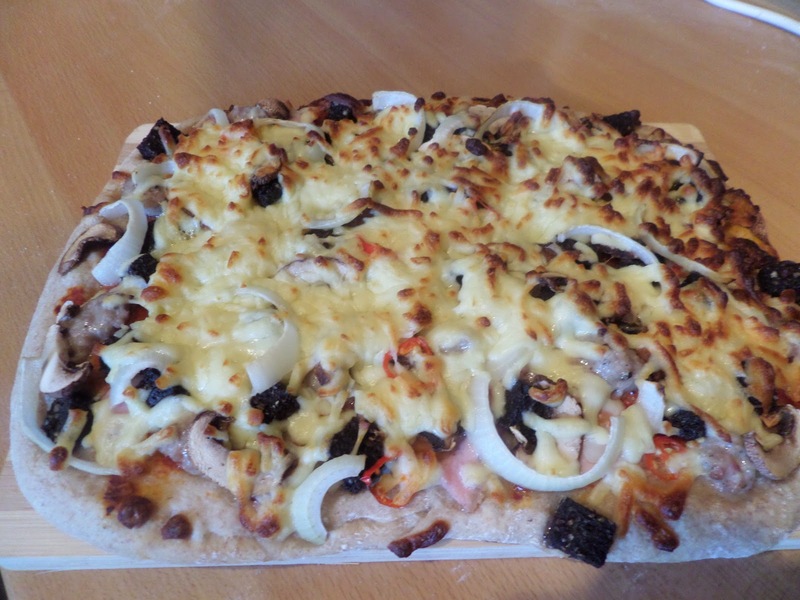 It was surprisingly easy to cut with the pizza wheel, and even better after slicing each slice was able to hold up the mounds of toppings without collapsing under the weight! Very tasty and very filling – this would easily fill four people for breakfast. I can’t claim it’s very healthy though, but nice as an occasional treat.